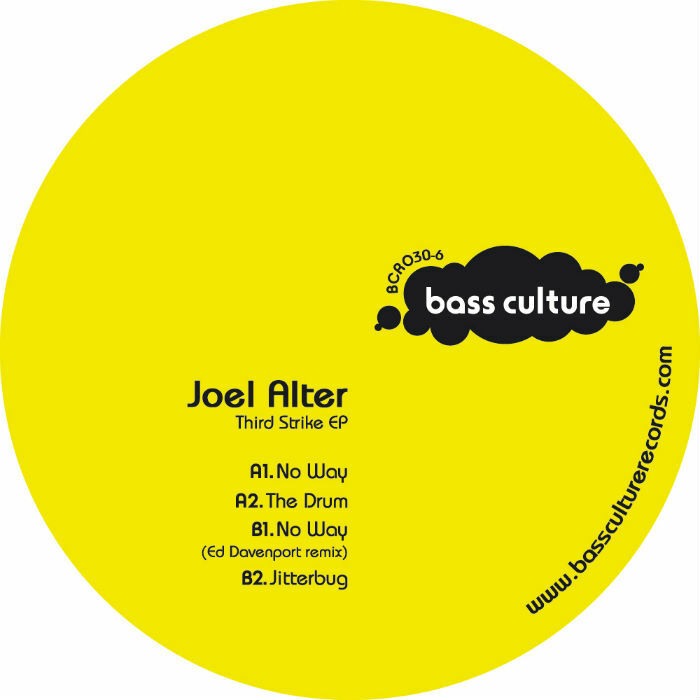 Joel Alter is now officially a Bass Culture Records MVP. Already a firm favourite with label boss D’Julz, the Swedish producer bookended 2011 with a brace of releases that are still proving to be some of the labels most popular to date. The DJ Qu remixed ‘Rules Of Love‘ was described by Resident Advisor as a “snug slice of deep house shrouded in a warming, edge softening mistiness.” No Way, the lead track from his new Third Strike EP strikes a similarly deep and hazy chord. A warm bubbling drum pattern and delicate keys work together with a ghostly atmospheric synth and vocal, to create another Alter gem. On a2 and gently upping the ante are the hypnotic tribal beats and spoken vocal of, The Drum. Giving his very own techno take on No Way is Berlin based producer Ed Davenport who, having enjoyed a stellar 2012 that included the release of his debut artist album Counterchange (NRK), kicks off a new campaign by turning up the temperature of Joel’s original with his pulsing bass synths and scything hi-hats. Rounding off the package and delivering a real taste of spring is the third of Alter’s originals, the sweet and lively, Jitterbug. 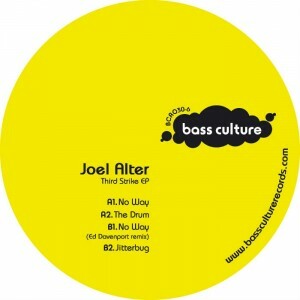 Out on vinyl & Beatport March 4th 2013. All digital shop on March 18th. This entry was posted on February 11, 2013 at 09:00 and is filed under Release.